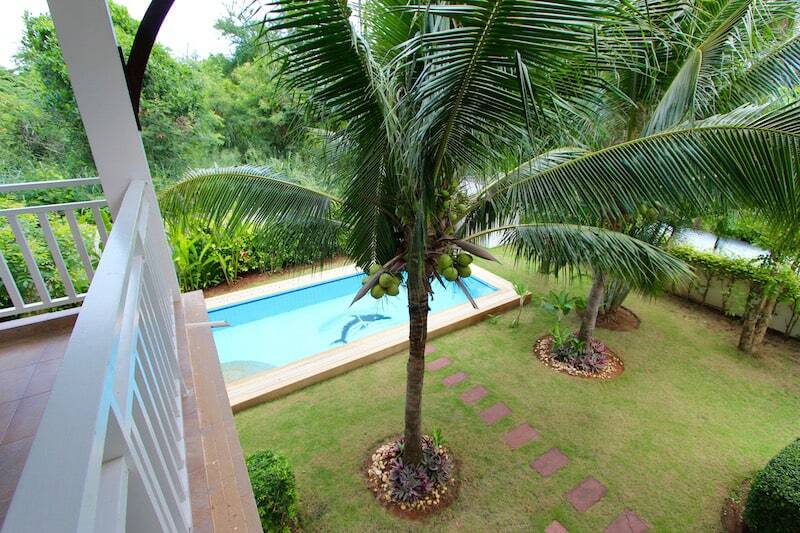 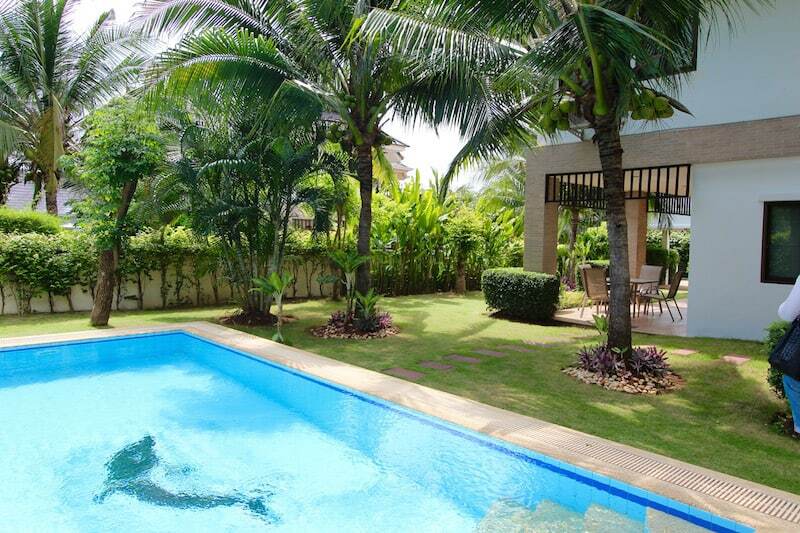 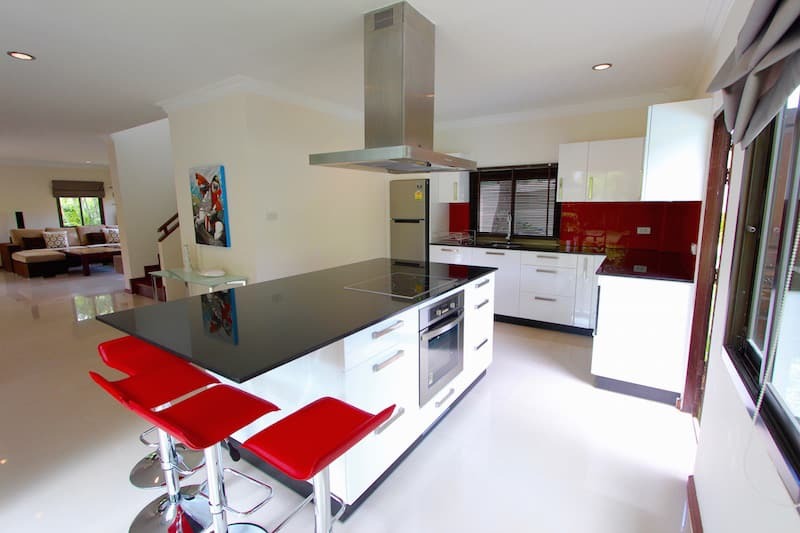 HUA HIN HOME FOR SALE IN NICE DEVELOPMENT IN KAO TAO. 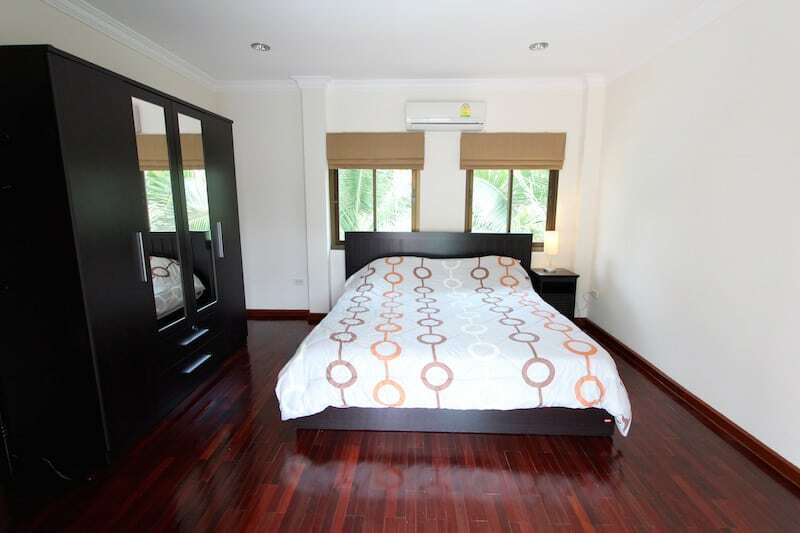 This high quality home is a great value and offered at a very reasonable price within a well-established development in Kao Tao, near the lovely Sai Noi Beach. 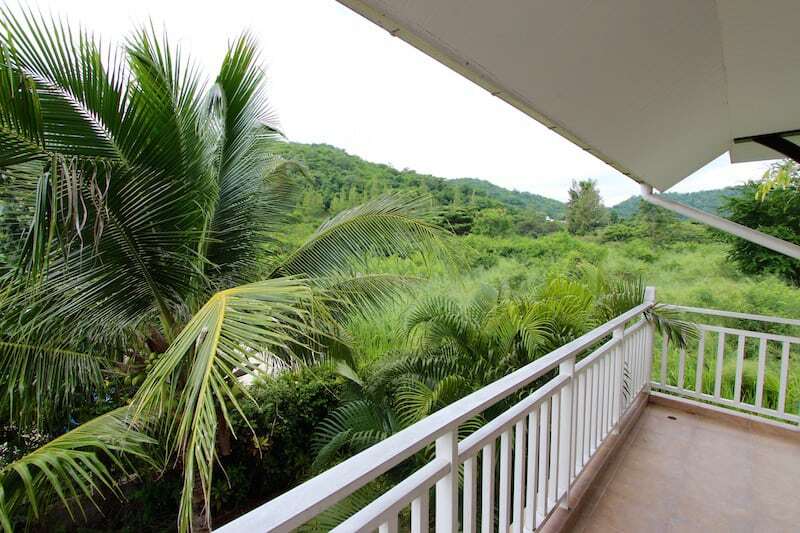 The home is located on a corner plot with extra privacy and great mountain views. 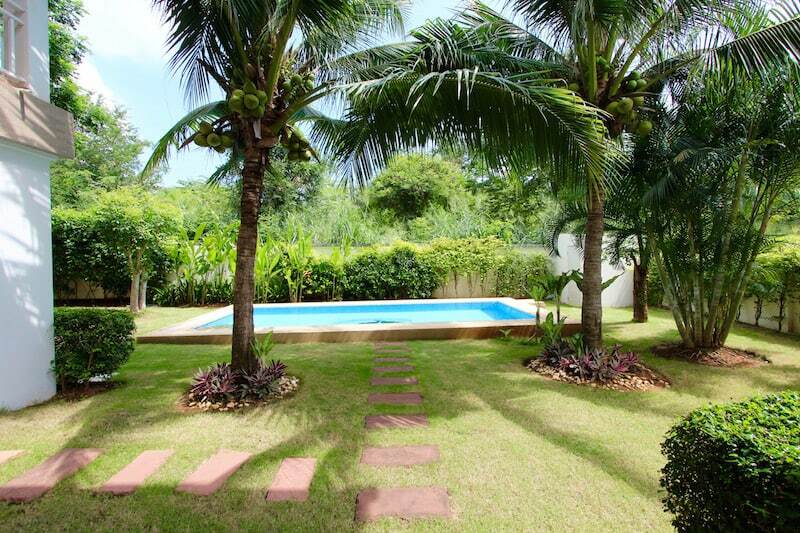 There are mature trees and a beautifully planted garden, a private pool, and 2 covered terraces from which to enjoy the scenery and outdoor lifestyle. 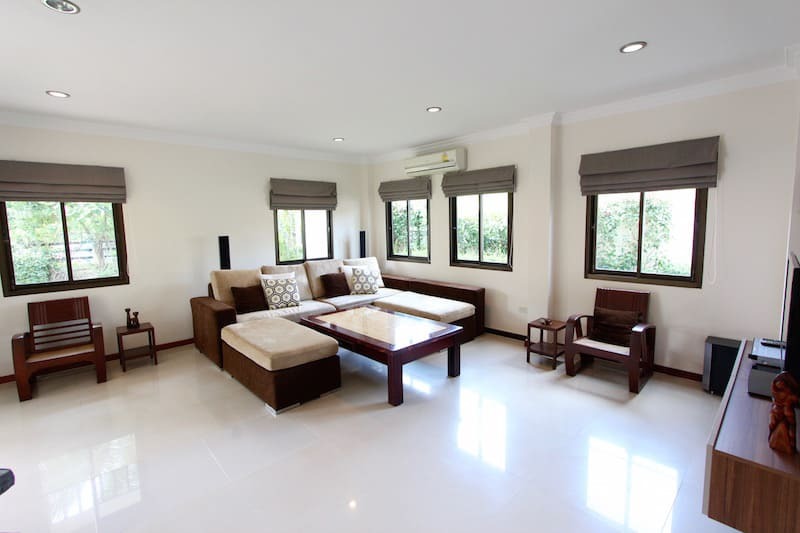 The home consists of 2 floors; the first floor contains the living room, dining room and kitchen, all complete with new furniture. 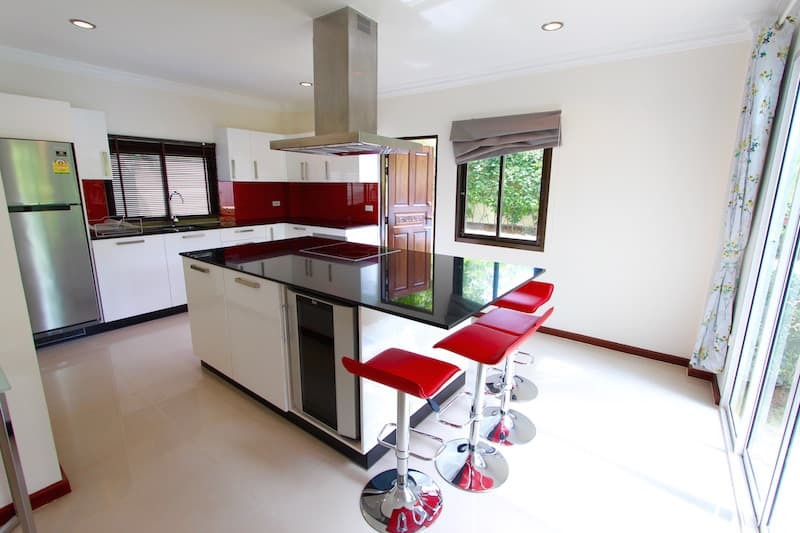 The kitchen was recently remodeled and is modern in design and contains all necessary appliances, including a wine fridge and large island with bar area. 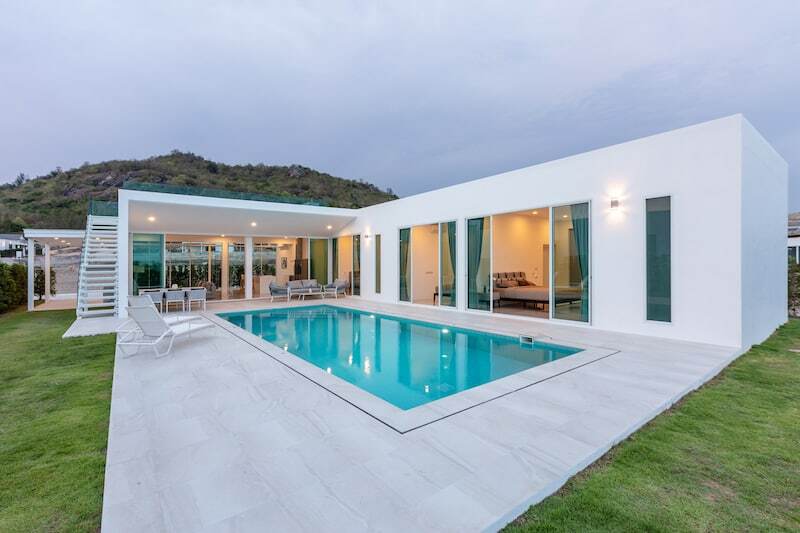 The home has a lot of light, good air flow and continual breeze, thanks to its good design, position and proximity to the mountains. 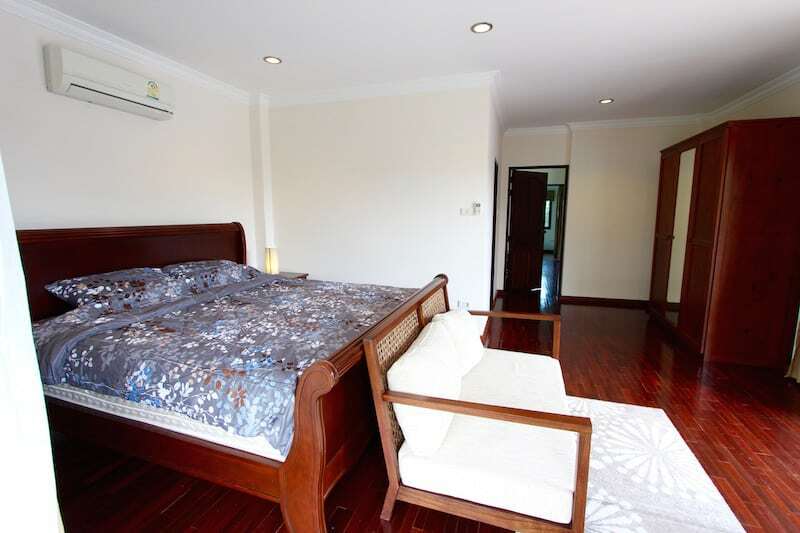 On the second floor are the 3 spacious bedrooms plus a landing area with extra storage space. 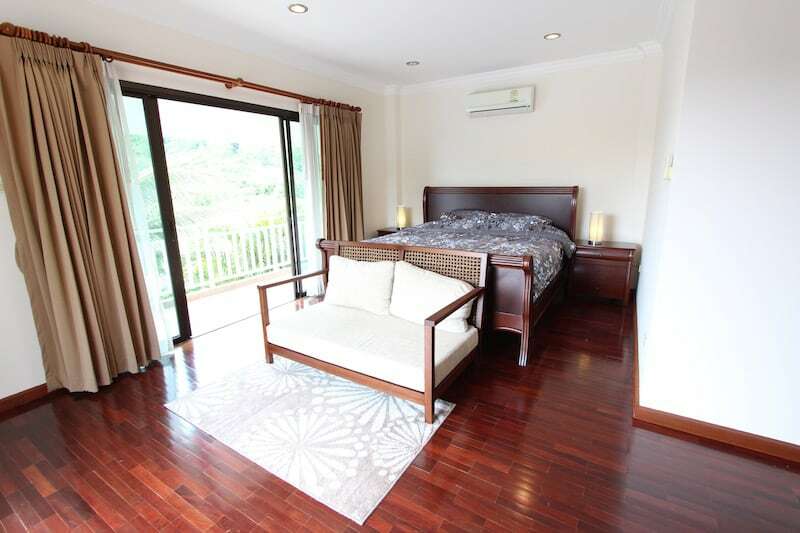 Each bedroom has a balcony and nice views, and the master bedroom has a large balcony which could be covered to provide additional living area. 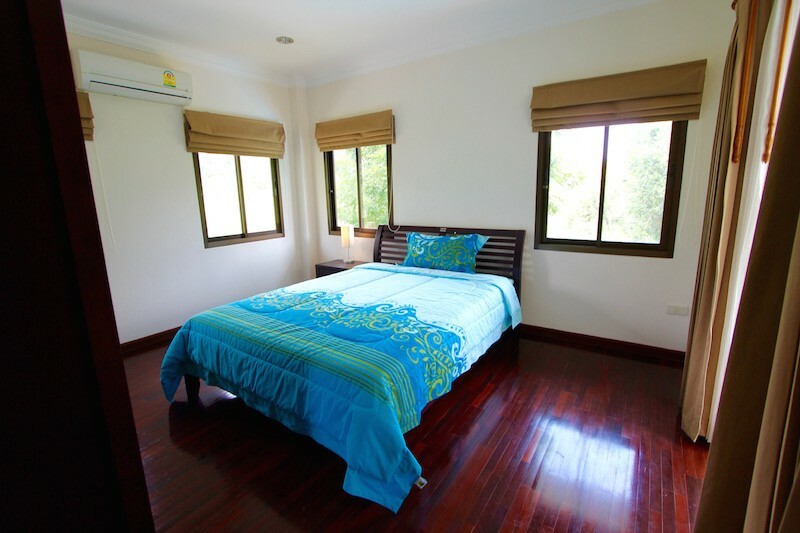 The master bedroom has an en suite bathroom with a shower and bathtub, plus a spacious wardrobe. 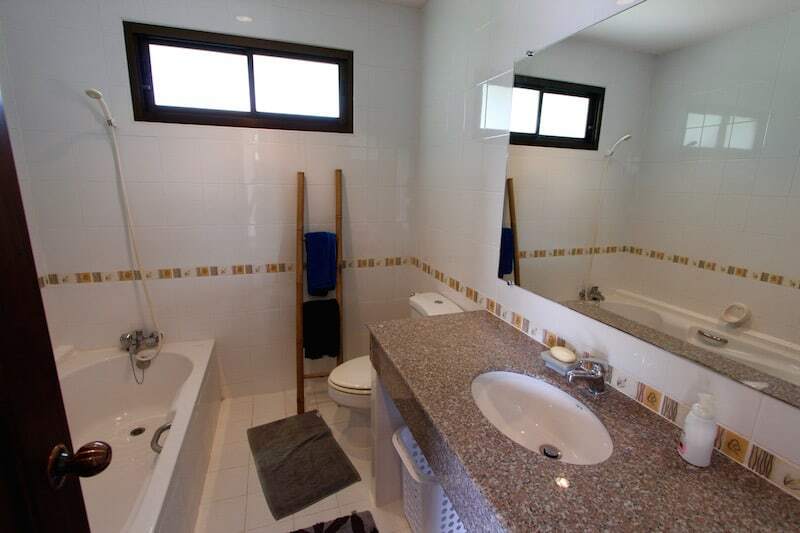 The home is within a completed development with a nice, international community and 24 hour security. 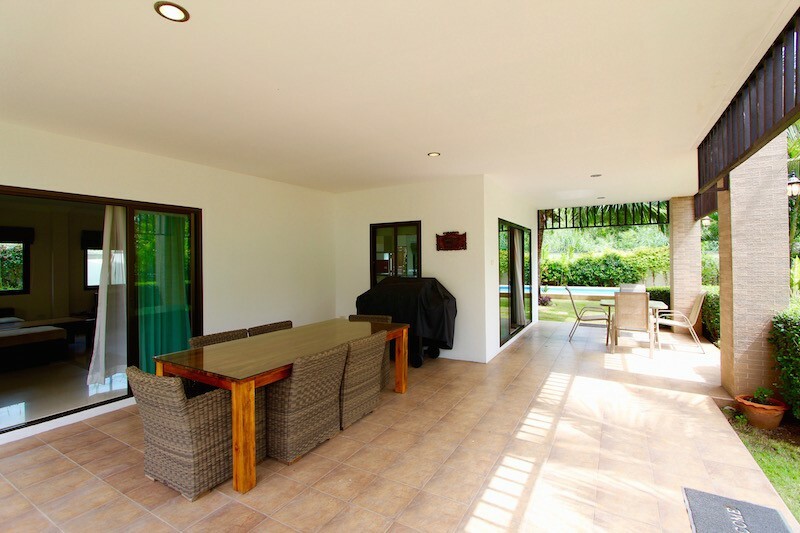 This home is also available for long term rentals. 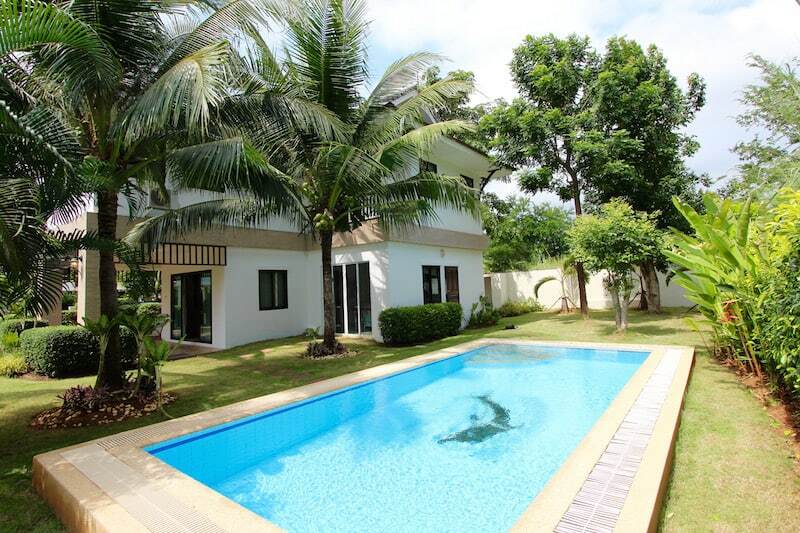 For more information and to schedule a viewing for this home, please contact Executive Homes Hua Hin at +66(0)85.264.2158.